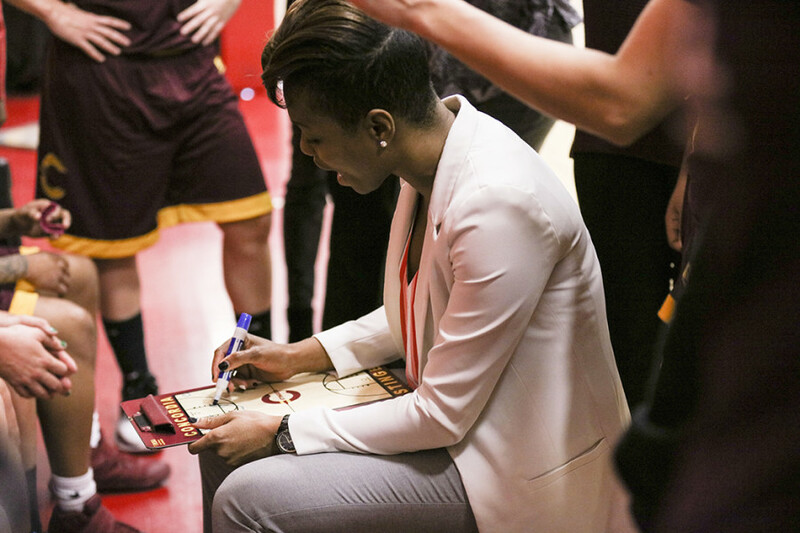 Head coach Tenicha Gittens didn’t mince words in her post-game interview after her team lost 59-49 to their cross-town rivals the McGill Martlets at the Love Competition Hall Thursday evening. 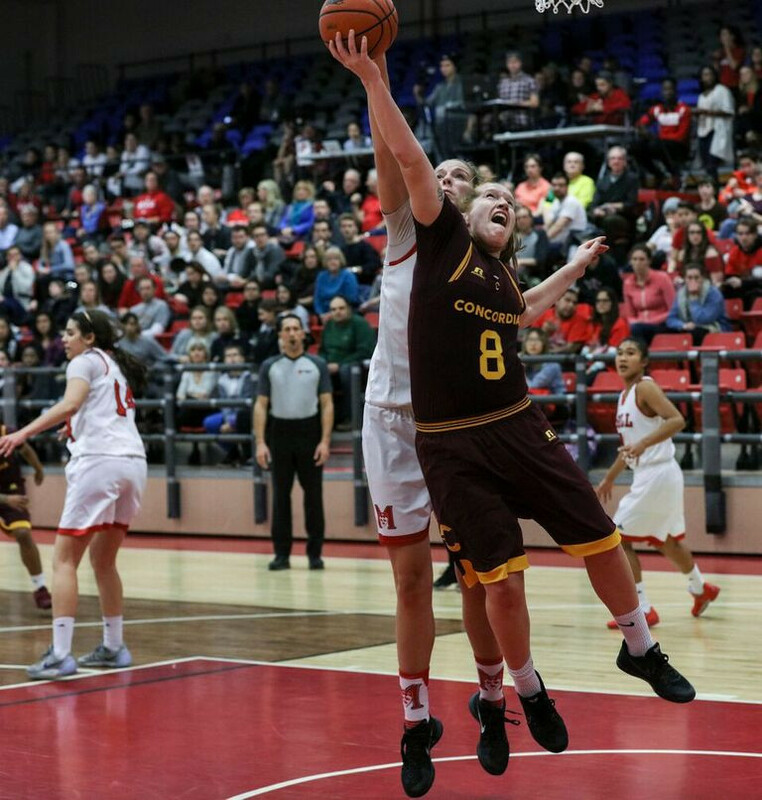 The Stingers dominated the Martlets in the first quarter, leading 14-0 until McGill scored six points to narrow the gap. 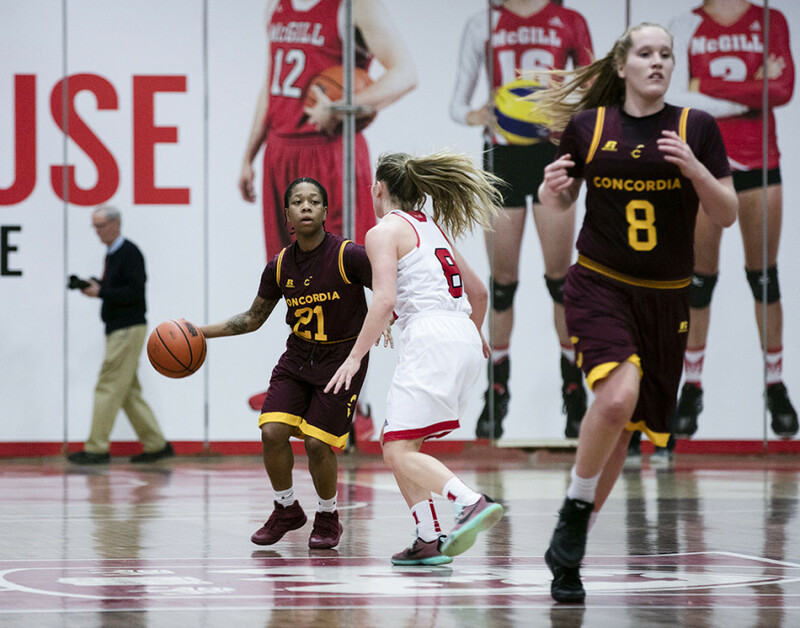 Playing in front of a crowd of McGill fans banging their pots and pans, Concordia didn’t look like they were intimidated by the full house. Guard and forward Marylise Roy-Viau and guard Richelle Gregoire scored five points each in the first quarter. The Stingers continued their dominance going into half-time at 32-23. That’s when things started to fall apart. Martlets veteran guard Marika Guerin and centre Alex Kiss-Rusk led the resurgence as McGill outscored Concordia 14-7 and 22-10 in the last two quarters of the game, taking the lead for the first time with less than eight-minutes left to play in the game when fourth-year forward Jennifer Silver’s capitalized on two free-throws. From that point on, Concordia played catch-up for the rest of the game and were never able to comeback. The Stingers head coach also doesn’t feel like she can take any positives from this game, despite starting out strong. Gittens’ team will be in action on Dec 2 at UQAM for their last game before the season stops for the holidays.